126 Eating House is a pretty famous Geylang dim sum joint, located nicely at 126 Sims Avenue! There are lots of reasons why people love to come here – food is cheap, comes in large portions, and it’s open 24/7. 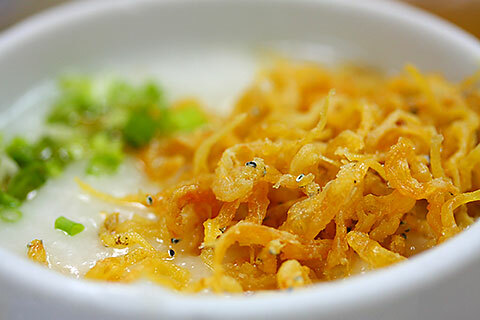 This is baby ikan bilis porridge, I love the crunch of the crispy fish in the smooth porridge! Beancurd skin stuffed with prawns. 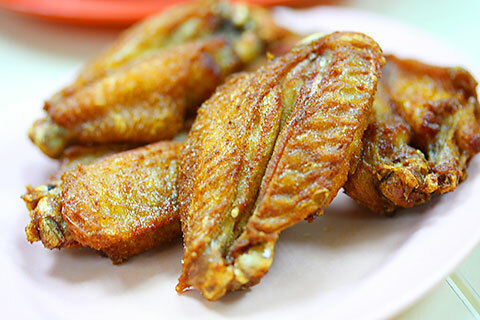 The beancurd skin is delightfully thin and crispy while the prawns inside are whole and crunchy. Fried chicken wings. These were a bit too dry and lacking in taste. 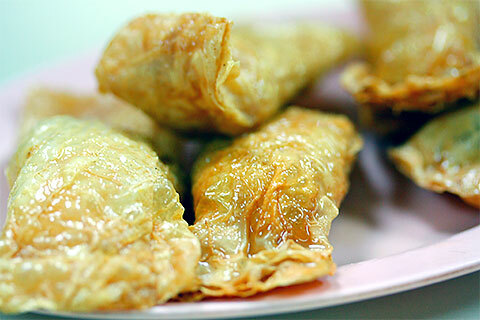 Fried wantons. 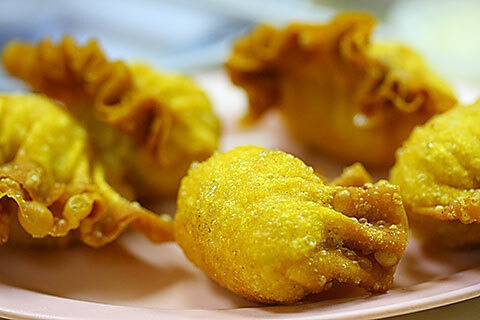 (Fried prawn dumplings) These are pretty huge and tasty! Not to mention that it’s really filled up completely with prawns! King har gau. 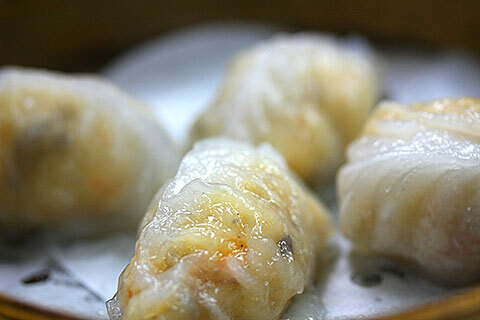 (Steamed prawn dumplings) They called this the ‘king’ har gau because it’s the super-sized version of normal har gau! Just whole prawns wrapped in tender translucent skins. King siew mai. 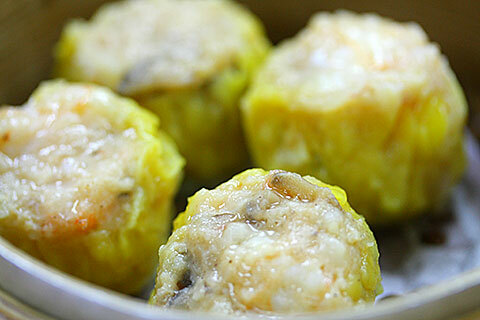 (Steamed prawn+pork dumpling) I don’t think I need to explain about the ‘king’ for this one. It is pretty much 50-50 pork and prawn, with very little of the usual extra ingredients like mushrooms or turnip. 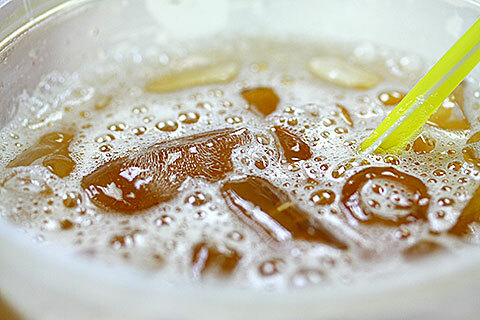 Iced lemon tea to end the meal! Uniquely comes in a large bowl rather than a cup. There are also lots of little jelly bits inside, tasteless but adds texture. 3 Responses to "Dim Sum at 126 Eating House"
Wah the crispy whitebait porridge looks really good! Yah I always order this for sure when I come here!